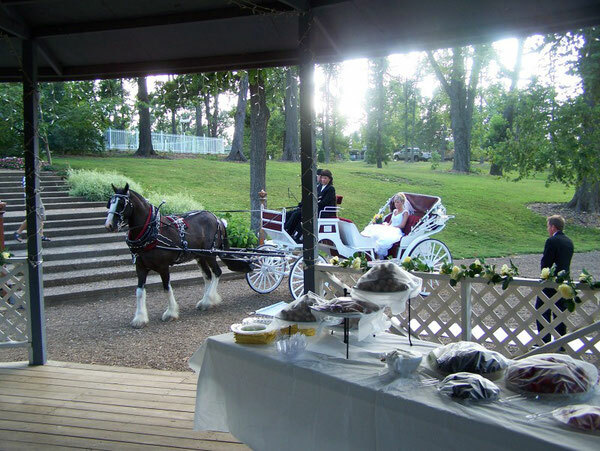 All Around Sound places the utmost attention to your wedding. 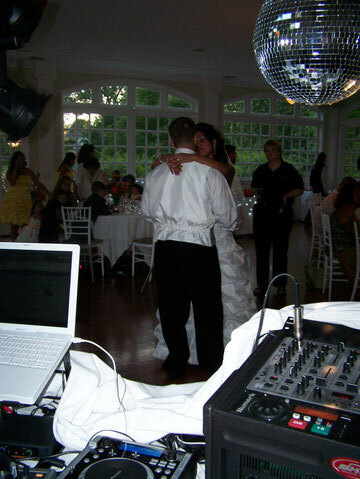 Your wedding DJ will assist in creating great memories for a lifetime. To ensure a perfectly run wedding, we work hand in hand with our clients to create a custom tailored night of music and entertainment. You can use our Contact page to assist you in planning your wedding, as well as help our wedding DJ get to know you and your musical taste. When considering Wedding Entertainment, one must take into account not just that your disc jockey will "play music", but more appropriately, that they will be the Master of Ceremonies, providing confident pre-wedding planning with you and conducting your wedding day activities, from start to finish. Also, the entertainment is one of the things your guest will remember the most. Your wedding disc jockey will be there before you or your guests arrive, dressed in formal attire and ready to introduce your wedding party entrance. Coordinating the events which are traditional in wedding receptions, such as the Father Daughter Dance, The Bride and Groom Dance, The Money Dollar Dance all the way to the "Last Dance", is not taken lightly. This is YOUR WEDDING! You've dreamed all your life of this very moment, so rest assured that we have spent countless hours rehearsing and practicing for evenings such as this. With many successful wedding receptions to our credit, we ensure that your wedding reception will be remembered for a long time. When it comes to DJ music and suggesting popular songs for Weddings and Parties, we have you covered! 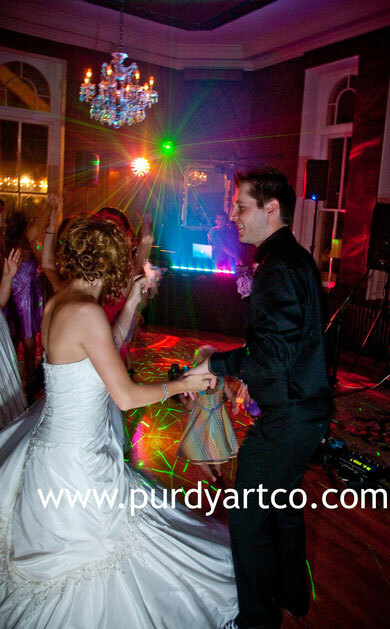 With all of our successful weddings and parties in the area, we are in tune with the popular hits. 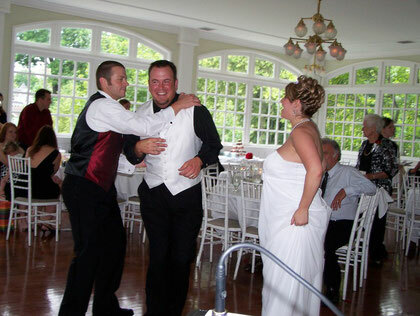 We also honor song requests and we are great at getting guests out on the dance floor. Shifting from basic reception music to several spontaneous requests is no problem for us and we'd appreciate the interaction. After all... This is YOUR PARTY RIGHT? So go ahead and tell Uncle Henry to come up to the DJ booth and ask for that song you know makes his toes tap! We are ready, willing and eager to serve your needs. Our goal is met when we create that special atmosphere where everyone is up and having a great time with you at your event, not when we receive our check. 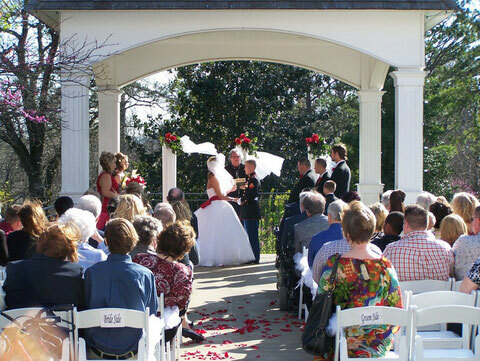 All Around Sound can also do the music and be there for you at your ceremony.